Prince William Sound - West [ti761] - $9.95 : Trail Explorers Outpost, Keeping the Adventure Alive! 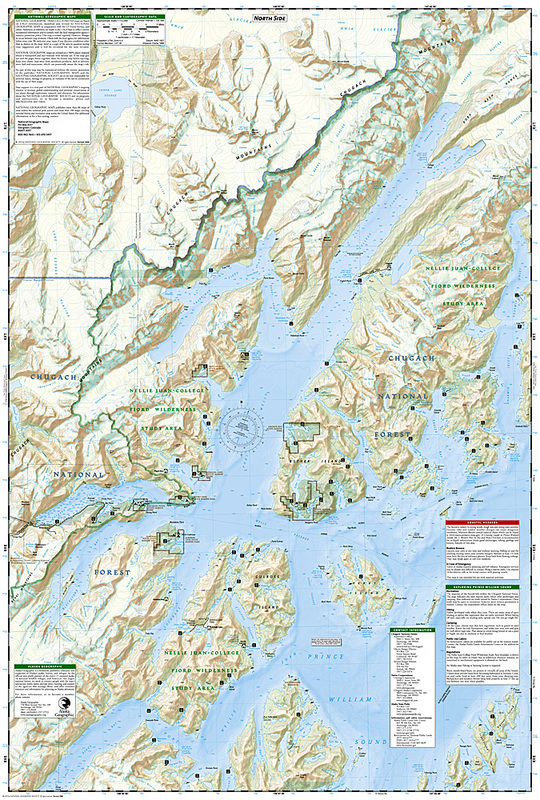 The National Geographic's- Trails Illustrated's folded map is your essential guide for outdoor exploration in Alaska's Prince William Sound - West area. The brilliantly illustrated topographical representation shows all trails, campsites, and recreational features, plus relevant info on wildlife, history, geology, and archaeology. 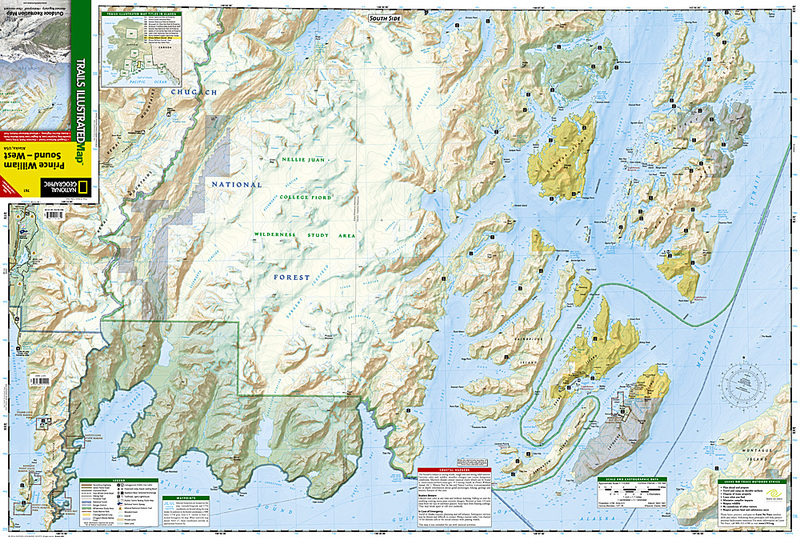 Coverage includes Chugach N.F., Nellie Juan-College Fjord Wilderness Study Area, Granite Bay, South Esther Island, Surprise Cove, Decision Point, Entry Cove, Ziegler Cave and Bettles Bay state marine parks. Whittier and Chenega. Knight, Latouche, Elrington, Evans, Bainbridge, Culross, Esther and Perry islands, Port Wells, Port Nellie Juan and Port Bainbridge. Harriman, College ad Blue fjords. Selected anchorages and kayak landings. All data is updated to reflect road closings, new trails, and campground relocation. Printed on waterproof, tear-resistant material with a plastic coating that offers supreme durability for your next outdoor adventure. Measures 4" x 9" folded and 28" x 32" fully opened. Scale 1:105,600. Flat Size 37.75" x 25.5"